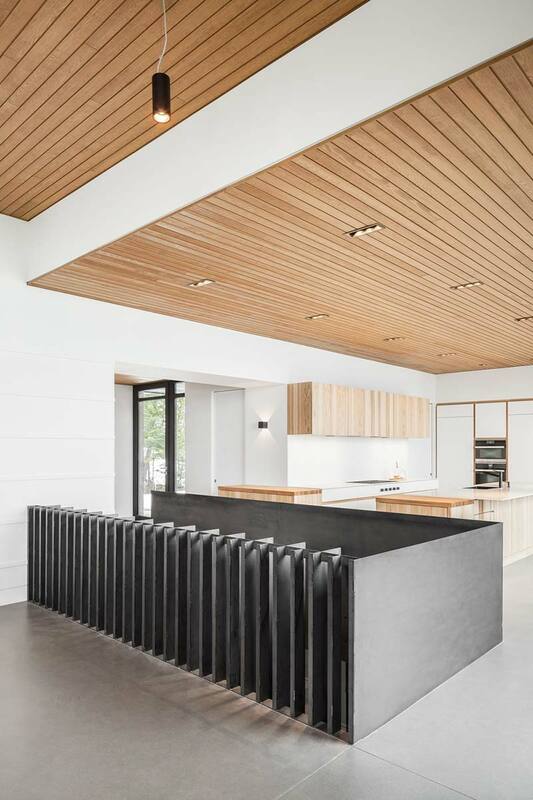 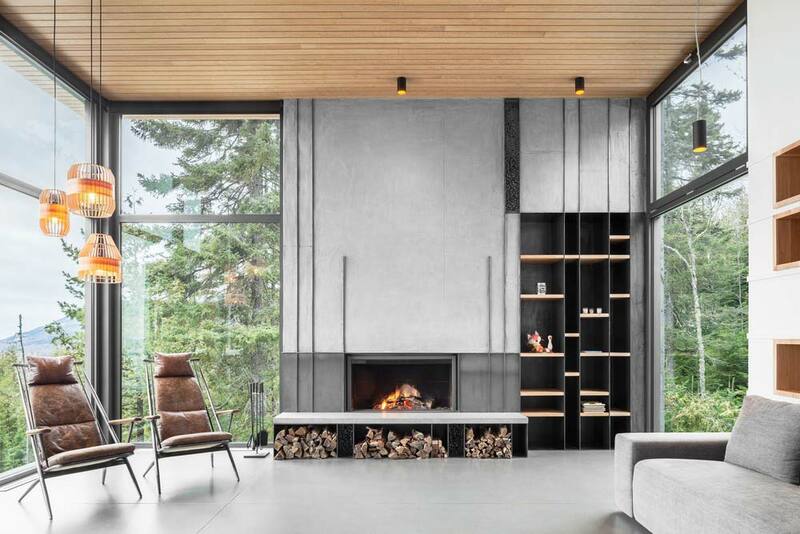 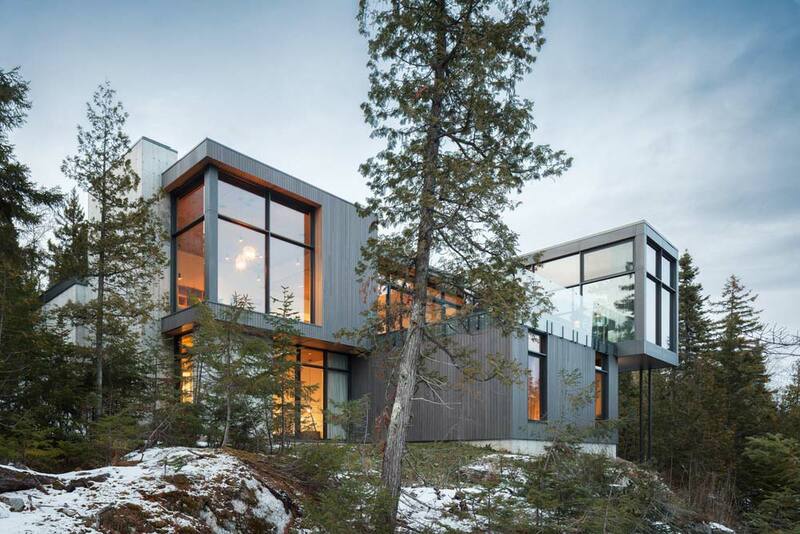 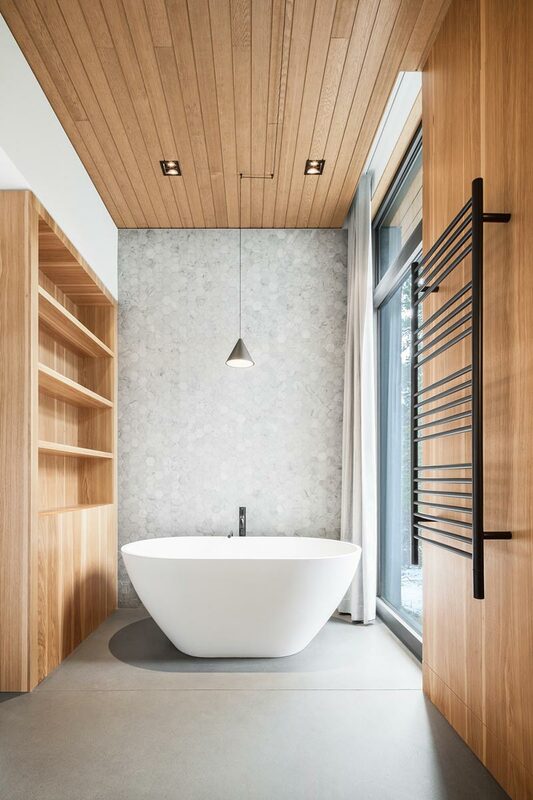 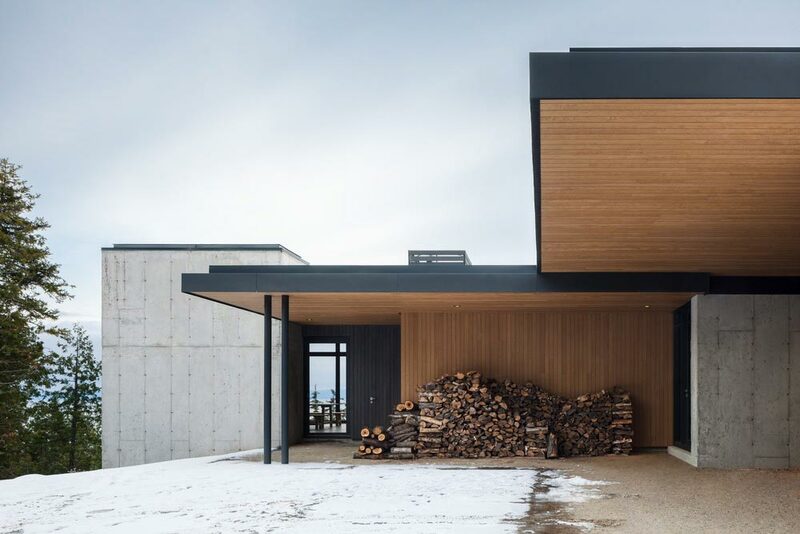 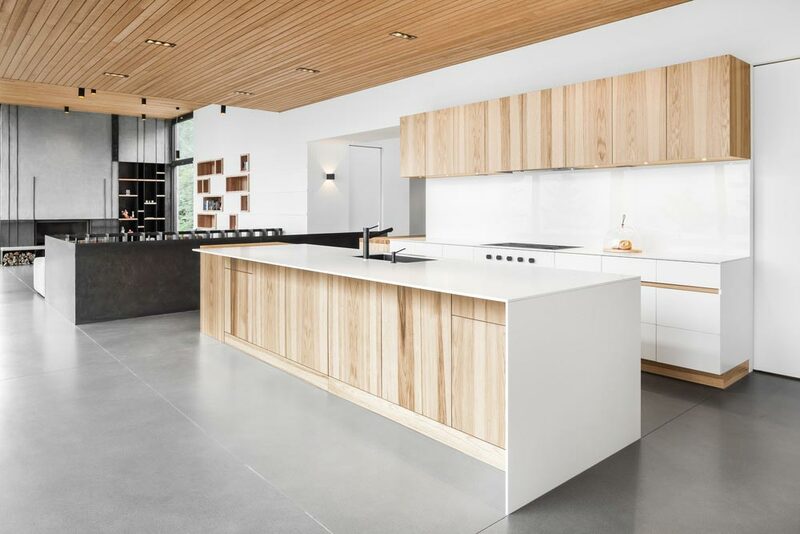 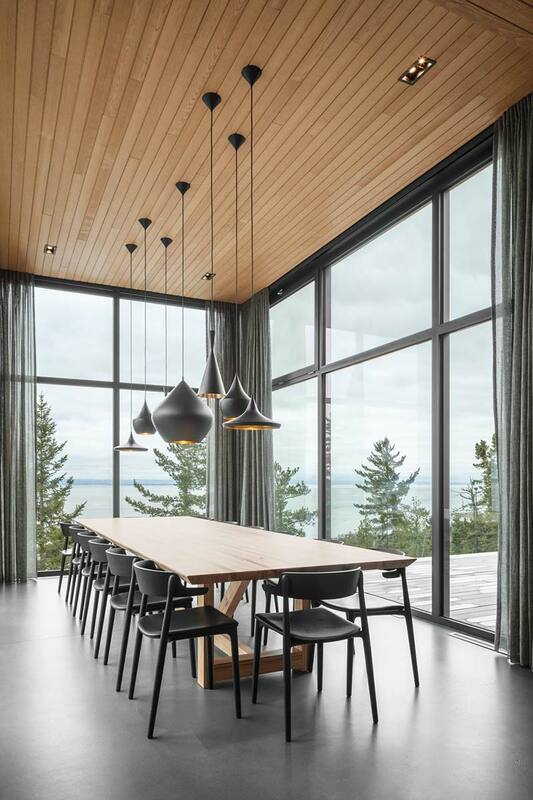 Situated on the outskirts of Montreal, Canada; this home – known as Long Horizontals, is a brilliant display of steel, cement and wood, all melding together to create a tranquil space designed to specifically overlook the St. Lawrence River. 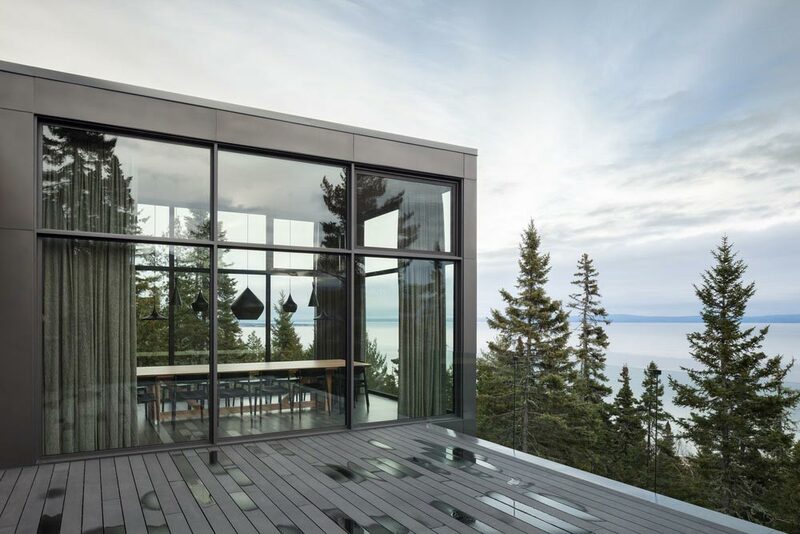 Built on a rocky ledge to maximize the view, and donning a flat roof to minimize obstruction, this home offers ideal vantage points to take in the breathtaking landscape, while the interior mimics much of the outdoor tranquility as well. 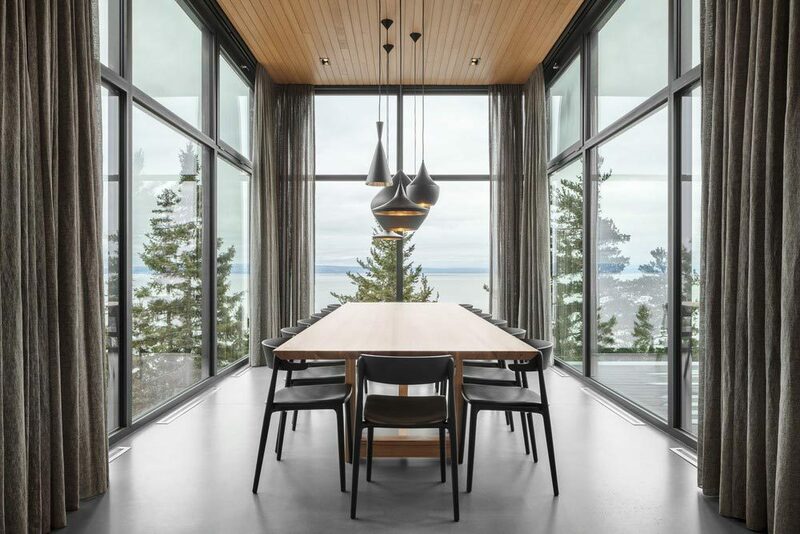 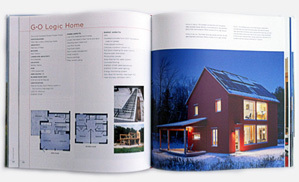 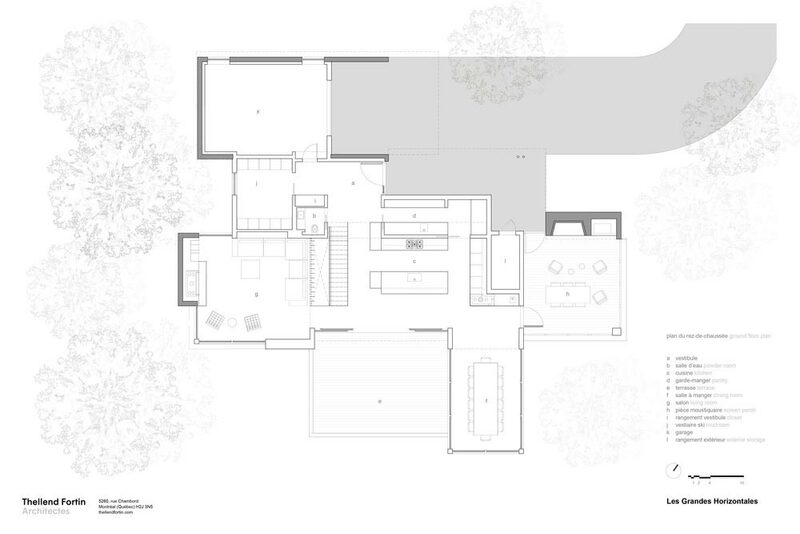 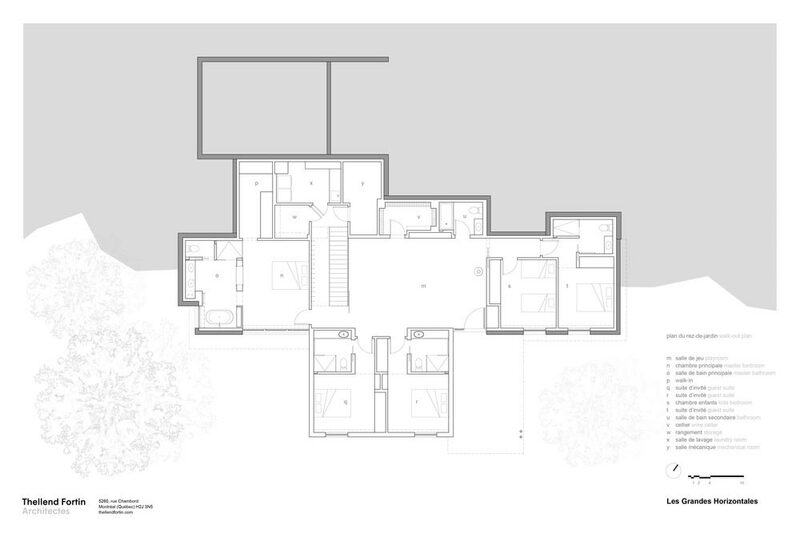 Features such as wood walls and ceilings found throughout the home, delivers texture and warmth, while black steel framed windows, various ebony steel lighting fixtures, and midnight stair railing conglomeration, all sweep through the house like eloquent accents that further enhance the view – both inside and out. 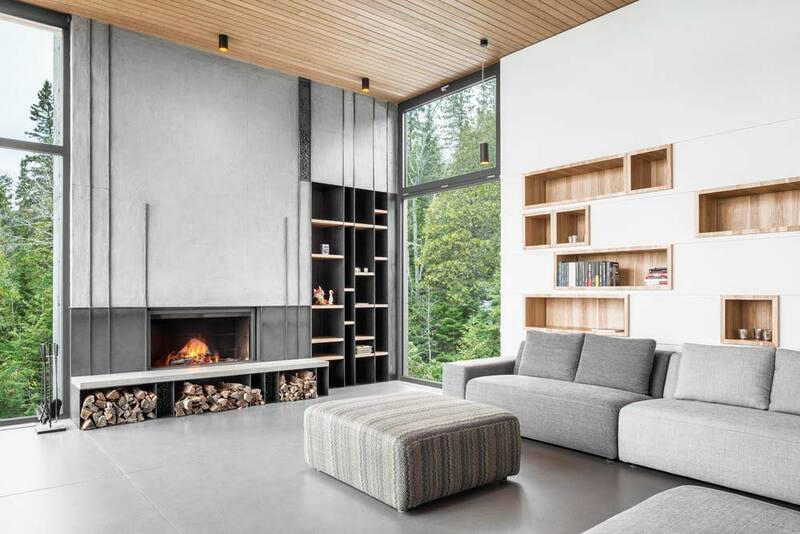 Concrete is also utilized in the flooring, polished to provide the perfect sheen, while the stark white walls and various shades of wood found in the kitchen cabinetry, looks out onto the living room, which is inset with a fireplace and built-in cubbies to keep the theme consistent. 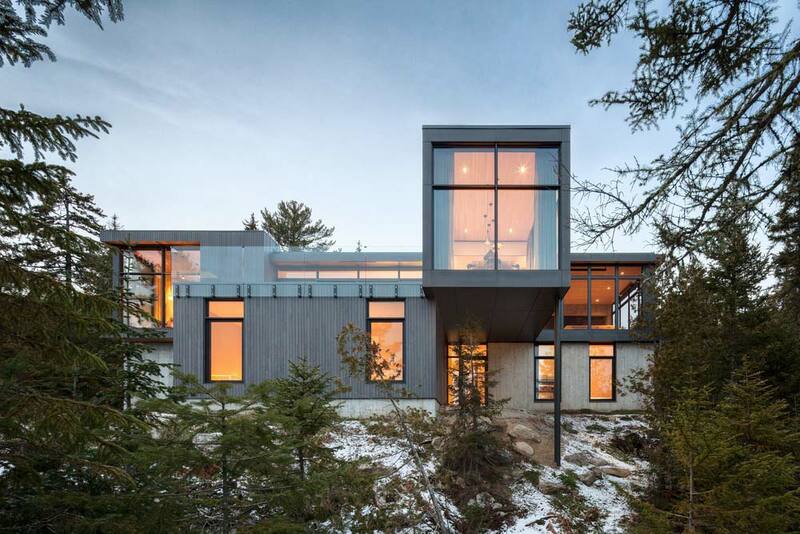 Designed and executed by Thellend Fortin Architectes, this modern home is a grand display of glass and grace, perfectly allowing for the outdoors to be the portrait this home hangs in each of it’s picture-perfect floor to ceiling windows.